Lose the Asperger’s Label and Focus on Unwanted Symptoms? Try Hypnosis! For those with Asperger’s Syndrome (AS) or High Functioning Autism (HFA), life can be complicated. Hypnosis has been proven to help with communication, socialization, self-esteem and much more. Symptoms can be altered through hypnosis to narrow and intensify a focus of concentration and perception while diminishing awareness of outside stimuli. 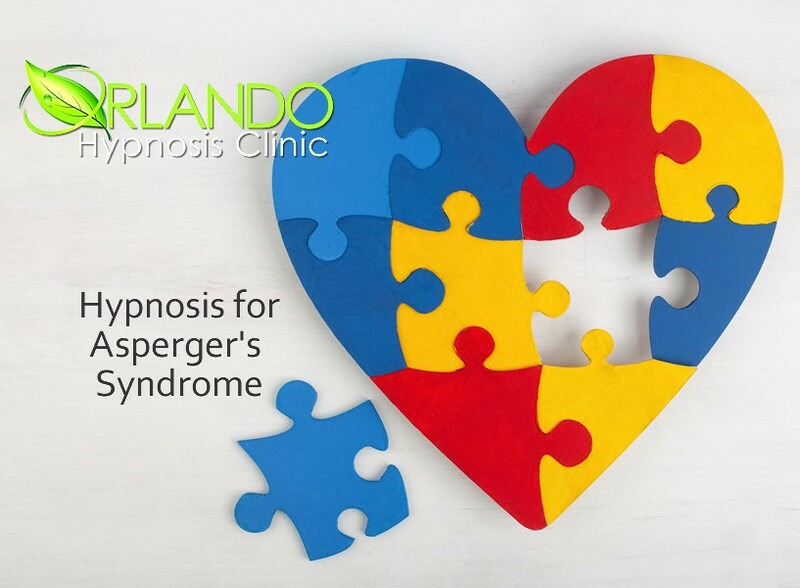 At Orlando Hypnosis Clinic, we offer solutions for AS that are tailored specifically to each individual symptom. AS often remains undiagnosed until a child or adult begins to have severe difficulties in school, the workplace or their personal lives. Indeed, many adults with AS receive their diagnosis when seeking help for related issues such as anxiety or depression. Diagnosis tends to center primarily on difficulties with social interactions. Danny is a person that truly cares. I was very comfortable from the reception desk to the therapy space. I knew going in that my... read moreDanny is a person that truly cares. I was very comfortable from the reception desk to the therapy space. I knew going in that my issues could not be resolved in one visit. Absolutely the best investment I’ve made. After 20 years of going to traditional therapy, Danny was a God send. I first tried Orlando Hypnosis Clinic... read moreAbsolutely the best investment I’ve made. After 20 years of going to traditional therapy, Danny was a God send. I first tried Orlando Hypnosis Clinic for smoking cessation. Danny made my fear of quitting completely vanish. The results were so fantastic that I decided to do the ARCH program as well. My quality of life has improved 10 fold thanks to Orlando Hypnosis Clinic. Disclaimer: There’s no guarantee of specific results and results can vary. Typical AS symptoms can include depression, anxiety, low self-esteem, lack of focus and much more. Since we are talking about a diagnosis based on symptoms, let’s lose the labels and just say that hypnosis and hypnotherapy are used to successfully resolve a wide variety of symptoms that come from emotions, low self-esteem, inability to focus in appropriate areas and so on. With this in mind, at Orlando Hypnosis Clinic, we routinely use hypnosis and hypnotherapy to successfully remove unwanted behaviors and emotions in both children and adults. Over the years we’ve worked with hundreds of people diagnosed with AS using a paradigm comprised of counseling, hypnotherapy, and NLP to create a relaxed environment where the symptoms of AS can be wiped away and replaced with new habits and behaviors. In between sessions, we have reinforcement recordings to listen to for continual progress to shorten the number of sessions needed. How Does Clinical Hypnosis for Asperger’s Syndrome Work? How many sessions is it going to take? Is it expensive? Will it for sure work for me? Find out if you’re a good candidate for this type of therapy. Get all of your questions answered (especially the ones from watching hypnosis in too many movies). Further take advantage of our discounts, payment plans, and very flexible hours. Plus we often can tell you if your insurance will reimburse you for our services as well as offer you some alternatives! This free consultation is performed in the office, by video conferencing (we use Zoom) or over the phone. Because we are an established hypnosis clinic with multiple certified hypnotists, you will benefit from decades of experience in the areas you most need them. And finally, all of our sessions and programs offer free 24-7 support.